Sweet 16 birthday party celebrations are important milestones for teens. Along with family and friends, they celebrate their journey towards adulthood. And no sweet 16 party is complete without a teen-friendly, theme-conscious menu, filled with delicious food and delectable desserts. Create a sweet 16 menu with theme-specific foods. For a casual sweet 16 celebration, serve guests finger foods, which are ideal for for parties, as guests can easily carry the finger foods around while they mingle. 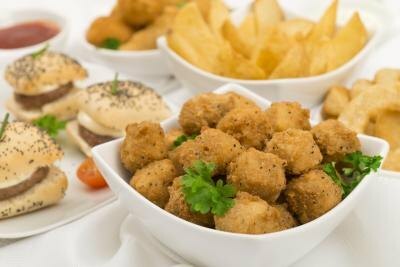 Try foods like chicken wings or chicken fingers, served with blue cheese and ranch dressing, tacos, quesadillas, french fries, slider burgers, onion rings and chips and dip. For dessert serve cupcakes, fruit skewers, cookies, brownies, marshmallow treats and ice cream cups. If the guest of honor is a fan of Japanese culture or frequently visits local Japanese restaurants to dine, an Asian-inspired sweet 16 menu is suitable. 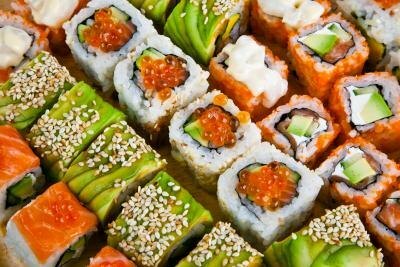 Include a variety of sushi rolls such as California rolls, shrimp tempura rolls and grilled eel rolls. Avoid serving raw sushi rolls to teens. Serve guests miso soup and fresh salad, topped with a orange sesame dressing. Include chocolate dipped fortune cookies on the dessert menu, along with green tea ice cream. 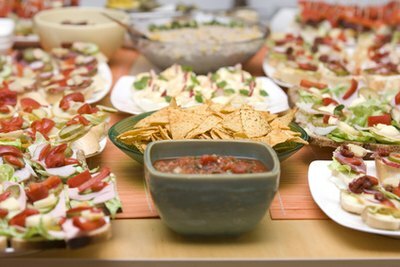 Fiesta-themed sweet 16 parties can include a variety of Mexican-inspired foods and flavors. Create a taco bar and serve shrimp, beef and chicken variations to guests. 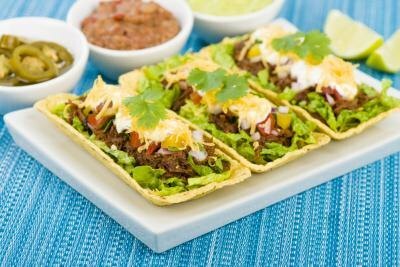 Give teens the freedom to add the taco fixings of their choice such as sour cream, cheese, salsa, tomatoes and lettuce. Offer a variety of tortilla chips paired with dips like guacamole and queso. Create a seven-layer dip teens can enjoy by layering refried beans and taco mix, sour cream, guacamole, salsa, cheese, olives and green onions. For dessert, serve apple enchiladas and churros. Hawaiian or beach-inspired sweet 16 celebrations are typically held outdoors, so grilled-food options are ideal. Offer teen guests classic grill treats like hamburgers and hot dogs, as well as grilled teriyaki steak and barbecue chicken, along with an assortment of salads, from grilled chicken Caesar salad made with pasta noodles, tomatoes, Caesar dressing and croutons to potato and macaroni salads. 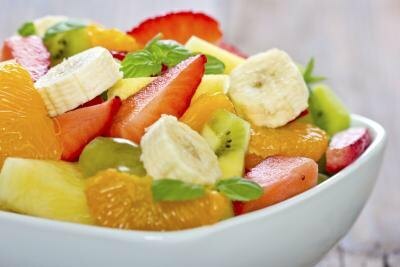 Display a large bowl of healthy fruit filled with strawberries, pineapples, grapes, cantaloupe and watermelon. Set up a smoothie bar for teens to create their own fruit smoothie combinations. Include fruit pizza, mango cheesecakes and an ice cream bar--complete with toppings--on the dessert menu. For a Hollywood-themed, star-studded sweet 16, opt for a more mature party menu that's still teen-friendly. Start off with shrimp cocktail as an appetizer, and for dinner serve chicken breast stuffed with crab, crab cakes or steak. Offer potatoes au gratin, macaroni and cheese, a medley of mixed vegetables and baked potatoes as side items. 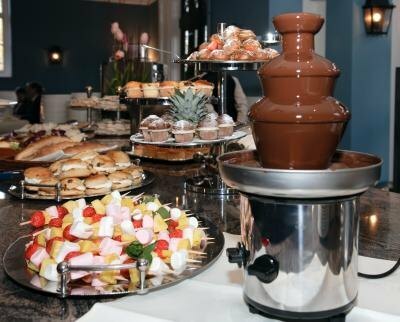 For dessert, serve miniature cheesecakes or crème brûlée, and set up a chocolate fondue fountain stocked with marshmallows, pretzel sticks, pound cake and assorted fruits for dipping.